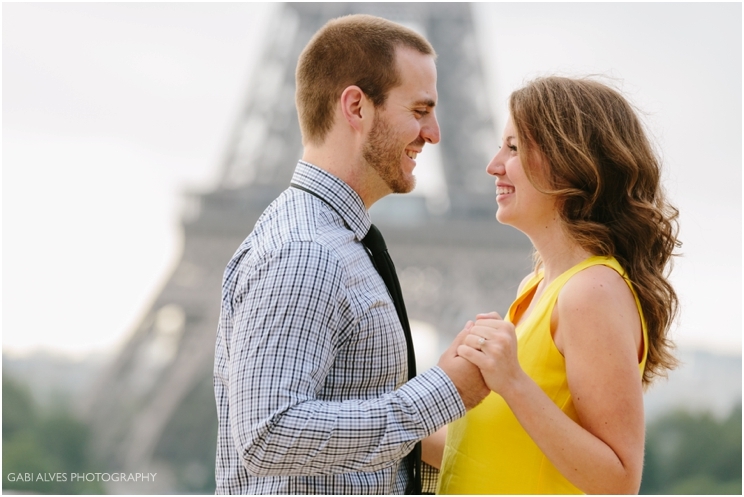 Robert contacted me only one month before his trip to Paris explaining that he wanted to have a photo shoot with his girlfriend, Megan. 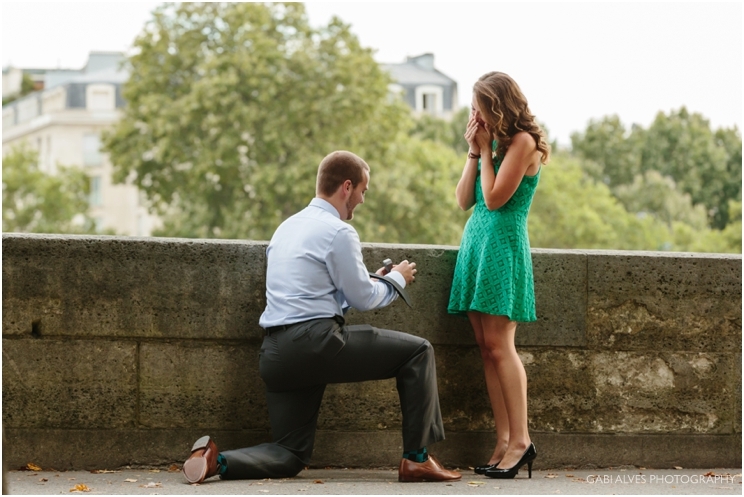 He intended to ask her to marry him during the photo shoot. 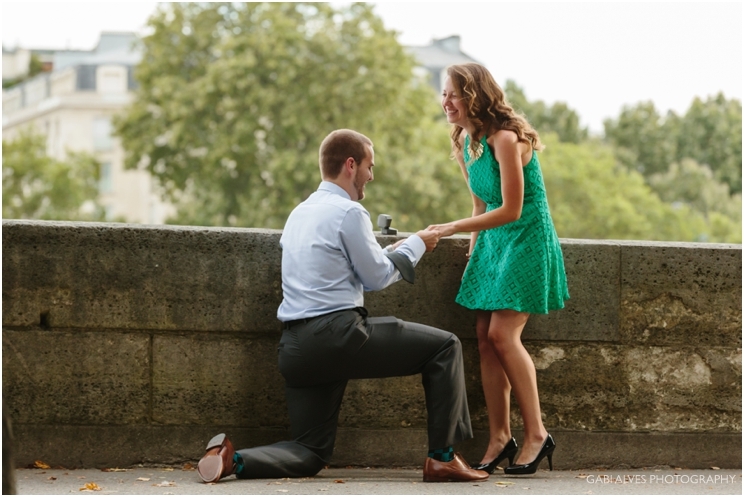 While we were organizing the details for the big day Robert felt Megan was suspecting that he´d propose. 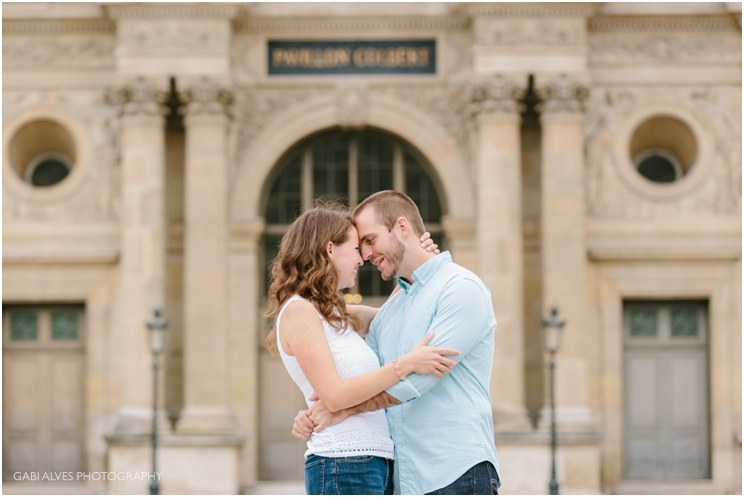 That was when Rob sent me another email with the idea of photographing the proposal one day before the official photo shoot under the condition that I stay hidden while he asked her to marry him. 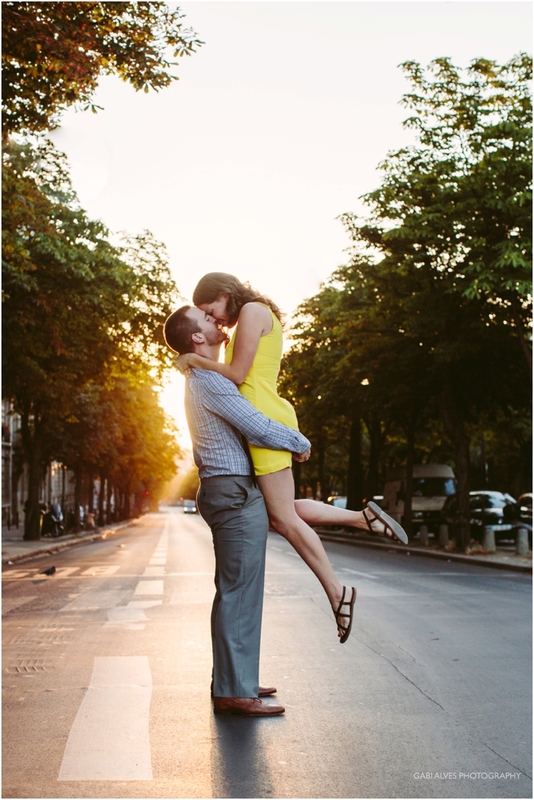 I could only appear after the YES, with kisses and hugs, and present myself as the next day´s photographer! 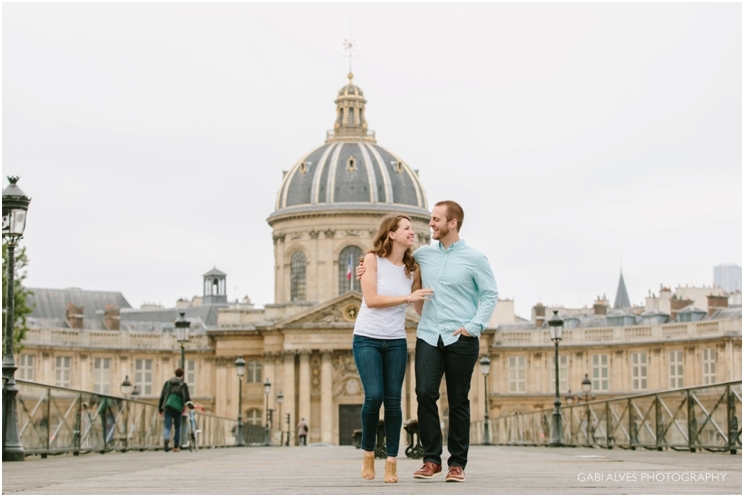 During the month of preparations, I sent him many suggestions of places, maps and video tutorials of specifically where I would hide and the exact place where he should be to propose. 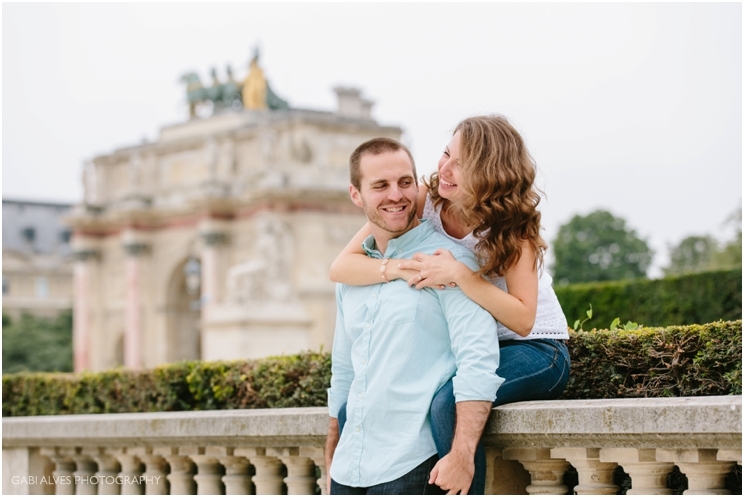 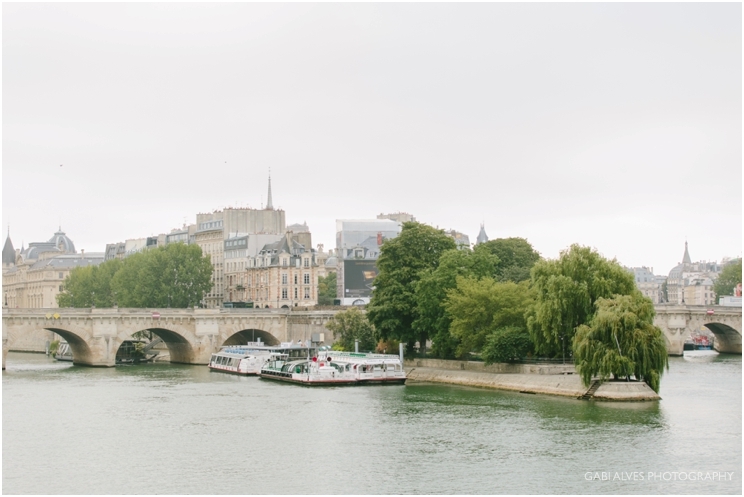 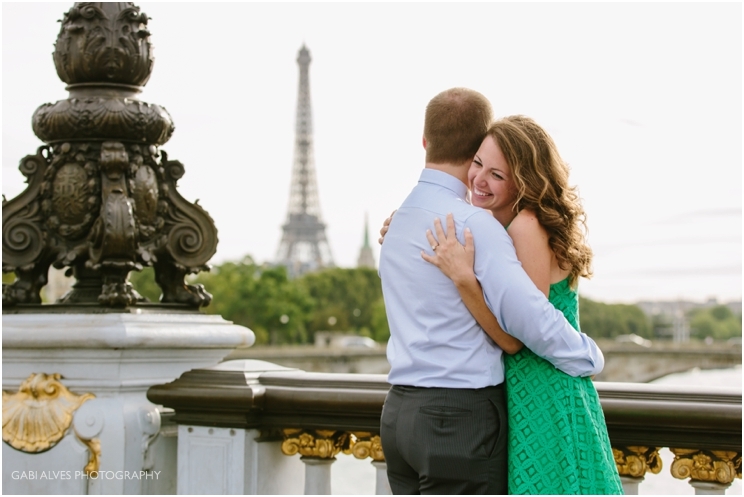 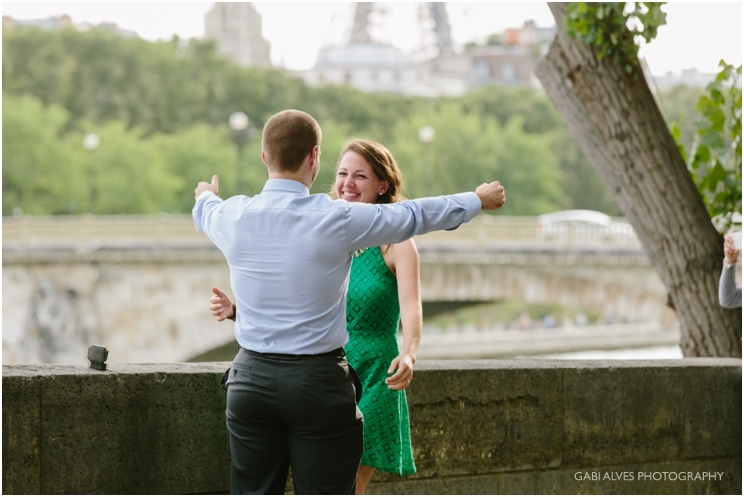 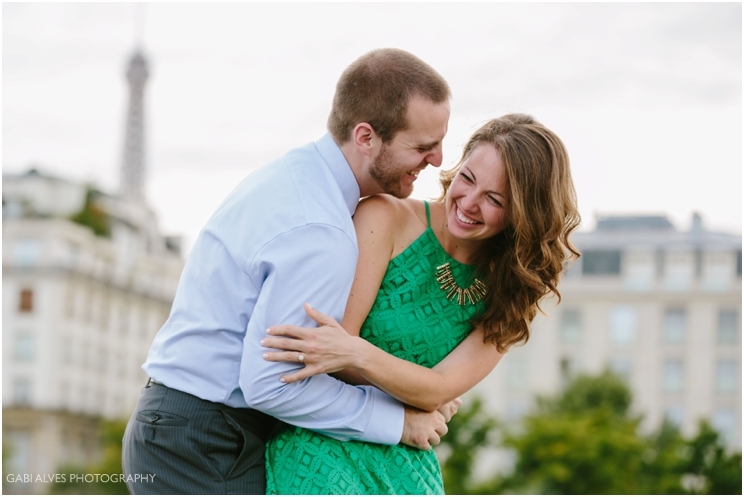 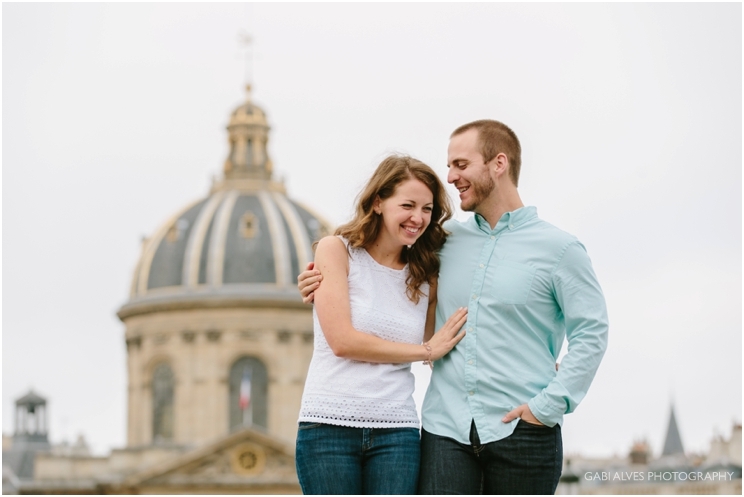 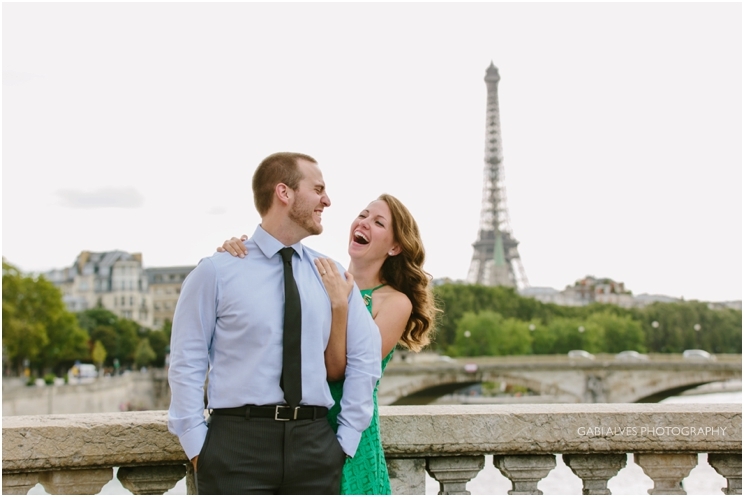 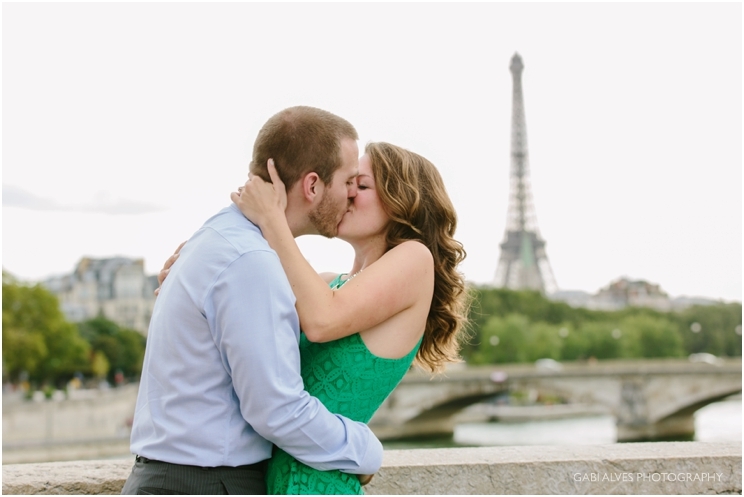 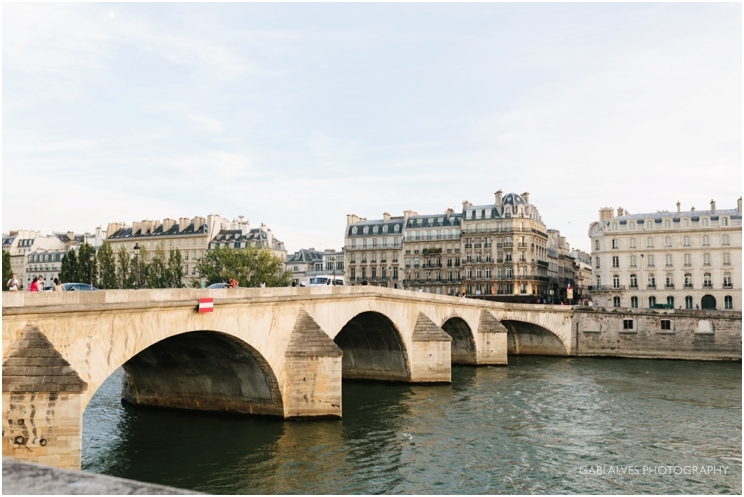 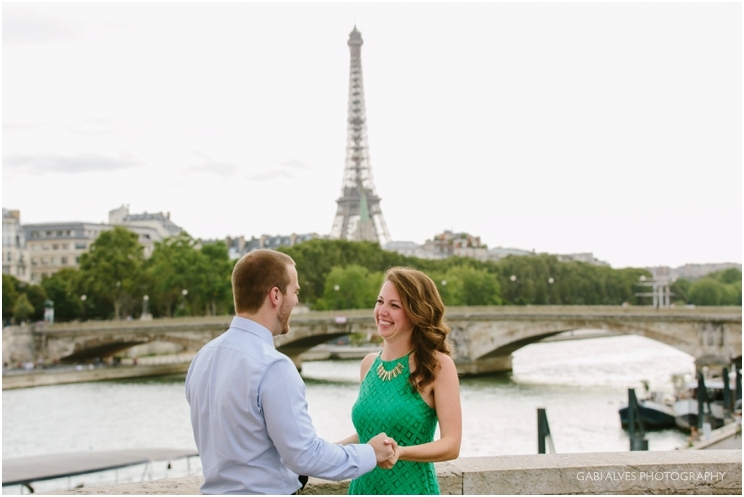 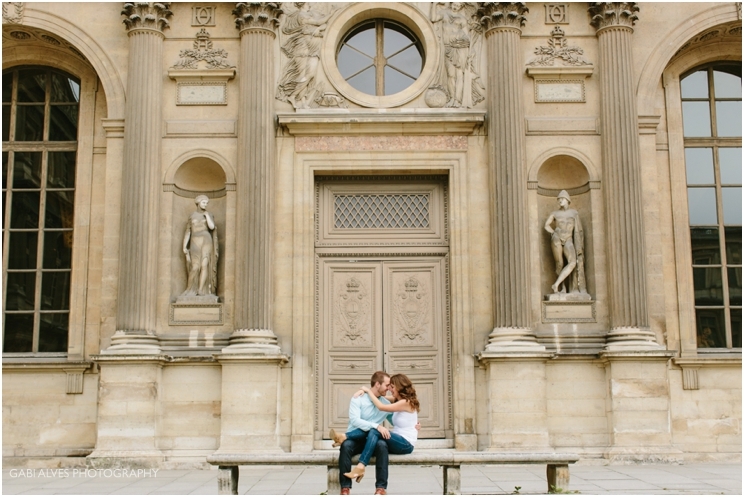 His idea was to tell Megan that they should go for a walk on the margins of the Seine River to take some pictures of the city and selfies before dinner. 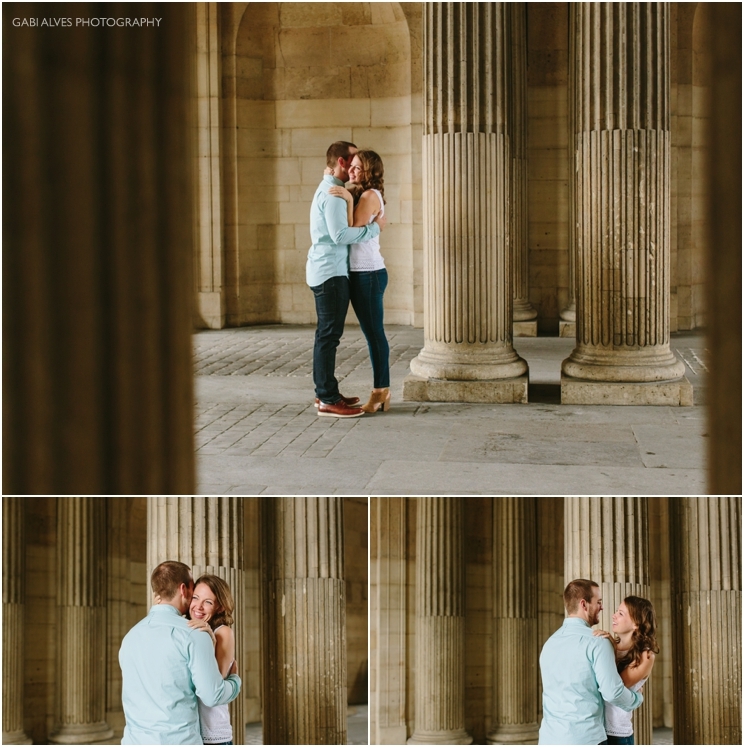 I spent most of the time hidden behind a tree taking candid shots and a few times I pretended I was a tourist in case she saw me. 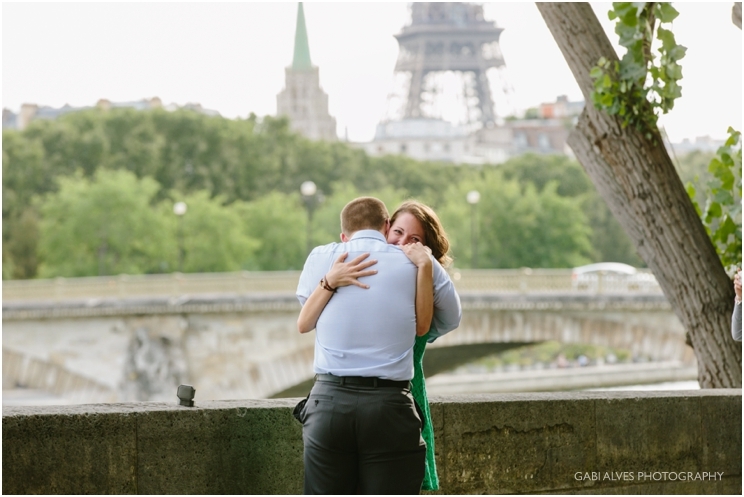 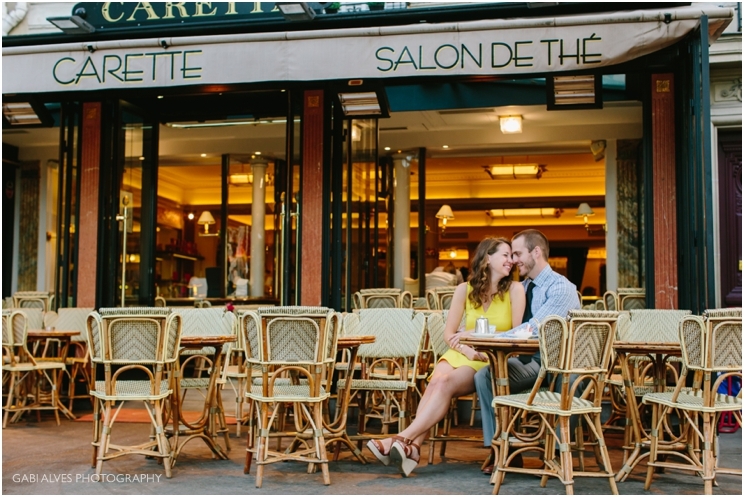 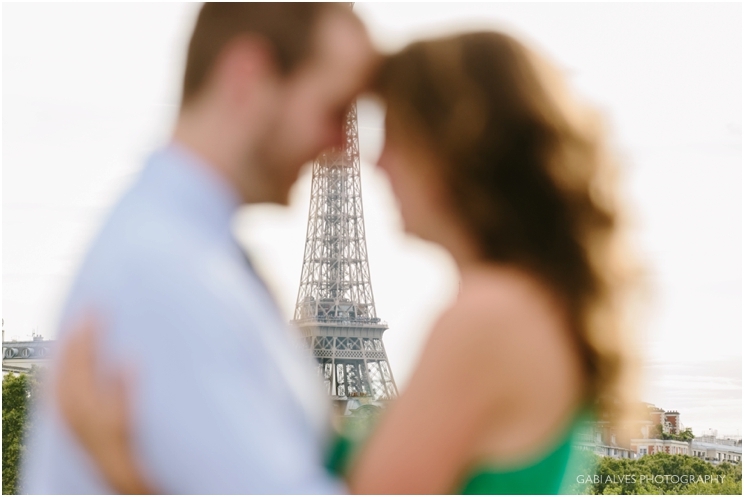 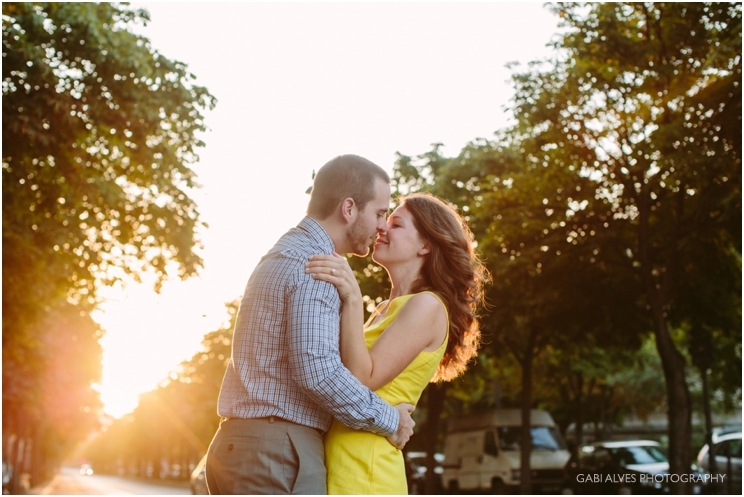 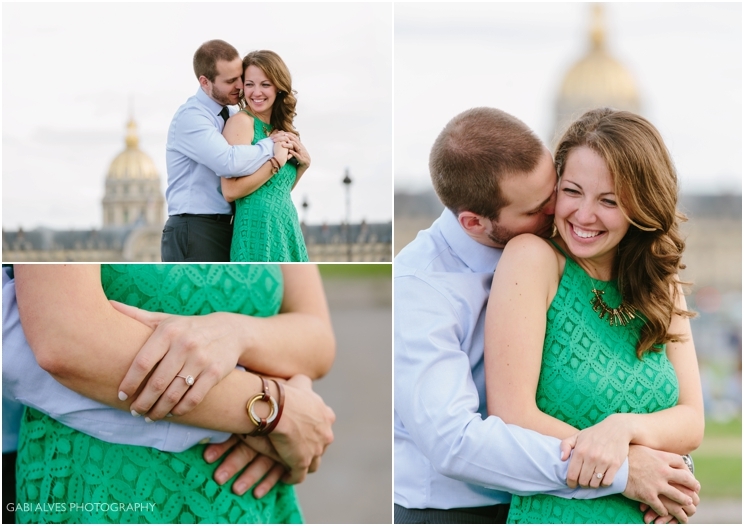 I must confess that taking photographs of a proposal as if I was a paparazzi made me feel a surge of adrenaline. 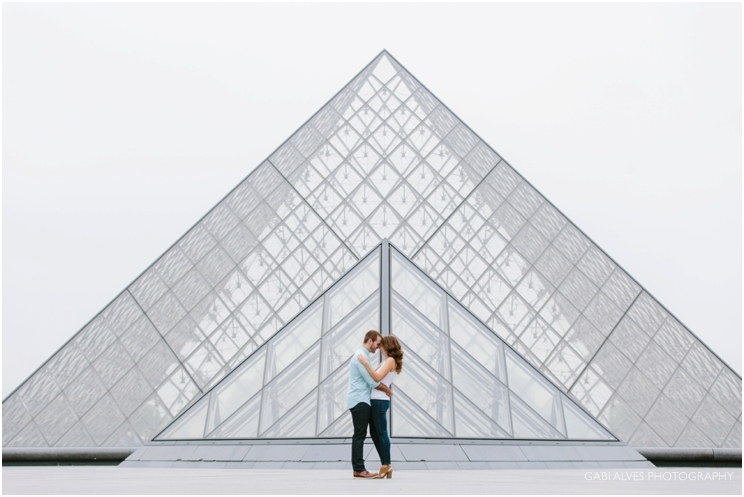 I felt immensely happy for the importance of the moment, knowing that these pictures will be hugely significant in the couple´s life. 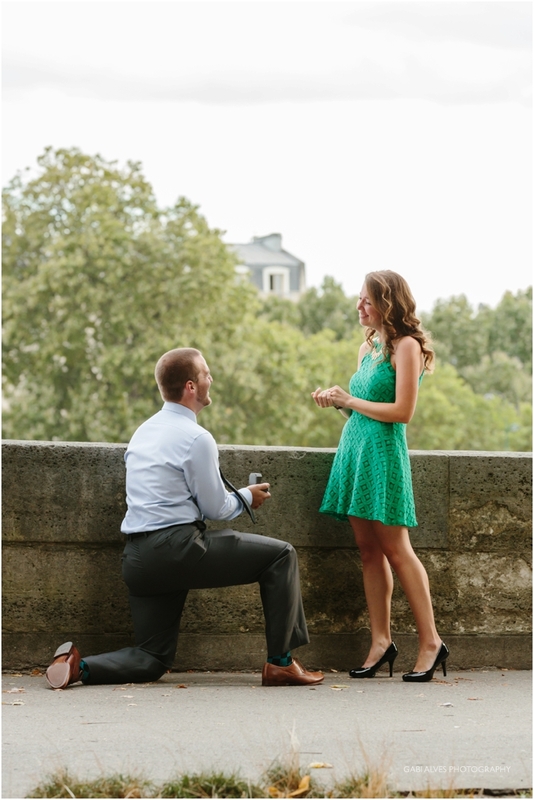 Rob took around 15 minutes pretending he was there to take pictures of the view until he kneeled down with the wedding ring in his hand and popped the big question. 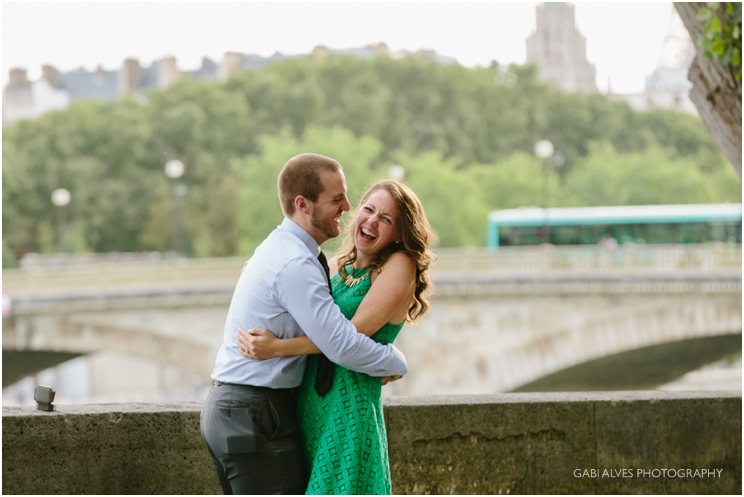 Megan was paralyzed, for about 2 seconds, finding it hard to believe that I´d taken photos of this unique moment in their lives, then she gave me a big hug with a huge smile on her face. 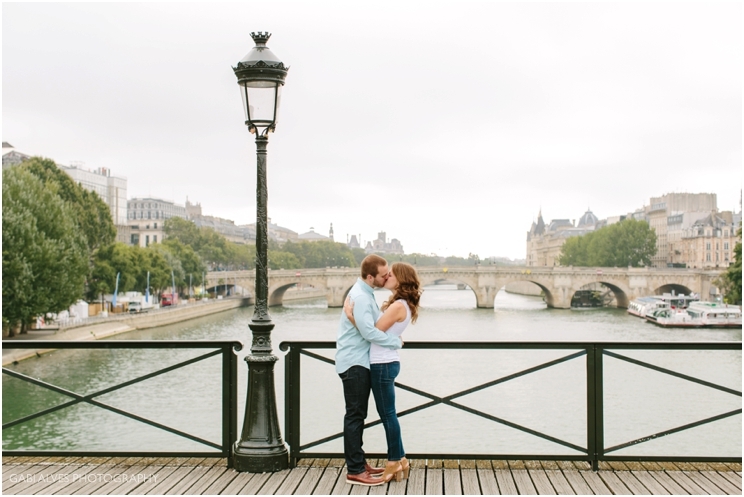 We took some more photos on Alexander III bridge and the next day we had the official photo shoot in different areas of Paris! 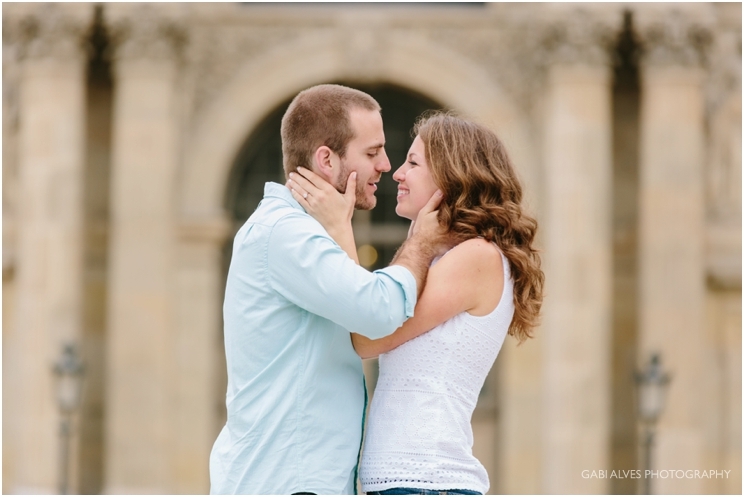 Rob and Megan, I wish you both much more love!